Carl Zeiss has today announced eight lenses aimed at 'semi-professional' photographers who use Nikon F-mount DSLR cameras. Carl Zeiss has today announced eight lenses aimed at ‘semi-professional’ photographers who use Nikon F-mount DSLR cameras. ‘The new ZF.2 series will be especially interesting for photo enthusiasts who value creative, high quality images combined with comfort of automatic settings,’ said a Zeiss spokesman. Six lenses are due out from the end of this month. 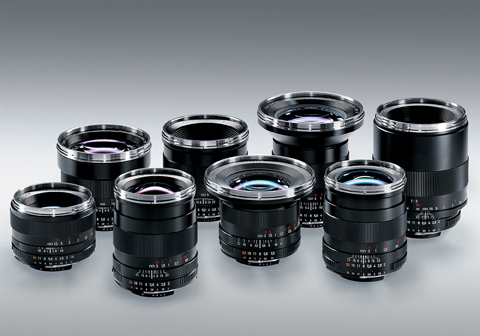 They are the 18mm f/3.5, 21mm f/2.8, 35mm f/2, 50mm f/1.4, 50mm f/2 and 85mm f/1.4. Due for launch next spring are the Distagon T* 28mm f/2 and Macro Planar T* 100mm f/2. Prices will range from ?545-1,386 (excluding VAT).